Among the solutions Fulcrum Partners offers organizations for informally funding nonqualified retirement plans is the design of institutionally priced corporate owned life insurance (COLI) and bank owned life insurance (BOLI). Although a high percentage of Fortune 500 companies rely on COLI or BOLI products to tax-efficiently fund liabilities, there are a limited number of large, established insurers in the business of providing institutional life insurance. When significant change occurs related to any one of these carriers, Fulcrum Partners monitors the event closely, apprising our clients and our peers of updates as they become available. 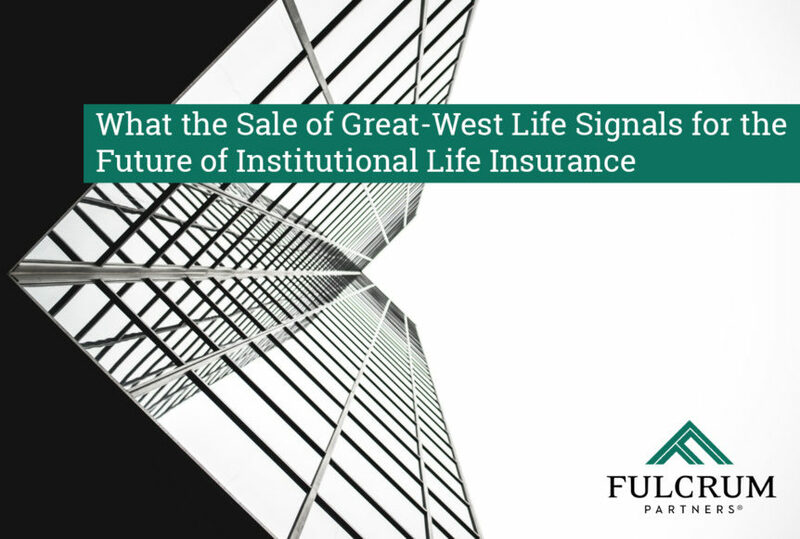 On Thursday, January 24, 2019, Great-West Life & Annuity Insurance Company (GWL&A) announced it had reached an agreement to sell through reinsurance, substantially all its individual life insurance and annuity business to Protective Life Insurance Company, the primary subsidiary of Protective Life Corporation (Protective). Protective is a wholly owned U.S. subsidiary of Dai-ichi Life Holdings, Inc. and is headquartered in Birmingham, Alabama. GWL&A will retain a small block of participating life insurance policies which will be administered by Protective following the close of the transaction. Fulcrum Partners offers investment advisory services through Valmark Advisers, Inc., and securities through Valmark Securities, Inc. Larry J. Rybka is the Chief Executive Officer of Valmark Financial Group. Larry recently spoke with Richard Bielen, President of Protective Life, who observed that Protective Life would typically look at as many as ten opportunities or acquisitions before making the decision to go forward with one. “I see this acquisition,” observed Larry, “as very positive for Great-West policyholders and for viable ongoing life insurance companies, which subsequently will get more business.